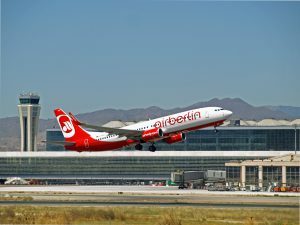 The airline Air Berlin has announced its winter schedule in Malaga, which starts next October 24 and in which is planned a 10% reduction in capacity on its domestic flights, i.e. on the route between the Costa del Sol and Palma de Mallorca, where the German airline has its centre of operations in Spain, and 2% on its international flights. Despite this reduction of flights typical in winter months, Malaga Airport-Costa del Sol is the third most important airport in Spain for this airline preceded by Mallorca and the Canary Islands. 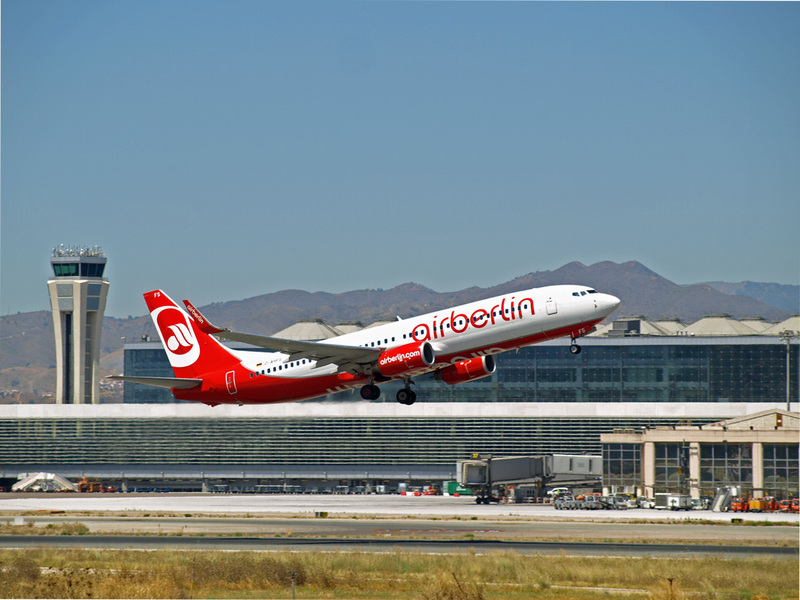 Specifically, this winter, Air Berlin will offer in the capital of the Costa del Sol 38 frequencies a week, with only one national destination, Palma de Mallorca; 16 flights to German airports and a dozen to other foreign terminals. In total, Air Berlin will offer links to a total of 37 destinations, ten of them in collaboration with Eithad. Salzburg, Berlin, Vienna, Copenhagen, Oslo and Abu Dhabi are some of the destinations.